Today in Masonic History Joseph Warren passes away in 1775. 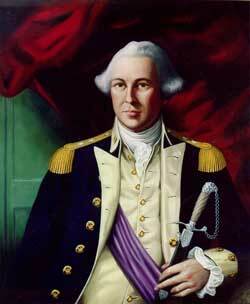 Joseph Warren was an American physician and Revolutionary War leader. Warren was born on June 11th, 1741 in Roxbury Province of Massachusetts Bay. When Warren was 14, his father was killed when he fell off a ladder while working his orchard. Warren would attend the Roxbury Latin School and eventually would enroll in Harvard College. He would graduate in 1759. He would later study medicine. In 1764, Warren would marry. His wife would pass away in 1772. The couple would have four children that Warren. In 1770, Warren would conduct an autopsy of Christopher Seider. Seider was an 11 year old boy who many feel was the first casualty of the American Revolution. Seider's funeral would lead to the Boston Massacre. As tensions grew with England, Warren was appointed to the Boston Committee of Correspondence. The Committees of Correspondence were essentially a shadow government that American patriots had set up in the months leading up to the Revolutionary War. He would also draft a document called the Suffolk Resolves which were endorsed by the Continental Congress. The documents purpose was to stand against the intolerable acts. He would also be appointed as the president of the Massachusetts Provincial Congress, the highest position in the revolutionary government. In April of 1775, Warren was one of only two top members of the Committee of Correspondence left in Boston. News spread quickly about General Thomas Gage's plan to march to Concord to destroy munitions. Warren, on April 18th, received word from a highly placed spy in the British ranks, some believe that it was Gage's wife, that Gage intended to arrest Samuel Adams and John Hancock. Warren would send William Dawes and Paul Revere on their famous midnight rides to warn Hancock and Adams. On April 19th, Warren was able to slip out of Boston. He would join the battle of Lexington and Concord. He would lead the militia in attacks against British Troops as they returned to Boston. Warren was almost killed in the fighting when a musket ball hit part of wig. On June 17th, 1775 Warren was killed while fighting for Breeds Hill. The fighting was heavy and Warren would be killed instantly when he was shot in the head by a British Officer who recognized him. His body would stuffed into a shallow grave after being stabbed and mutilated with a bayonet. Two days after Warren's death another British officer would return to the grave site, remove Warren from the grave and further attack the body. He would jump up and down on his stomach and spitting in his face. Later Revere and Warren's brother would recover the body and properly bury him. Warren was a member of St. Andrew Lodge in Boston. After joining the lodge he would become part of the Sons of Liberty a Revolutionary organization formed just before the beginning of the Revolutionary War.